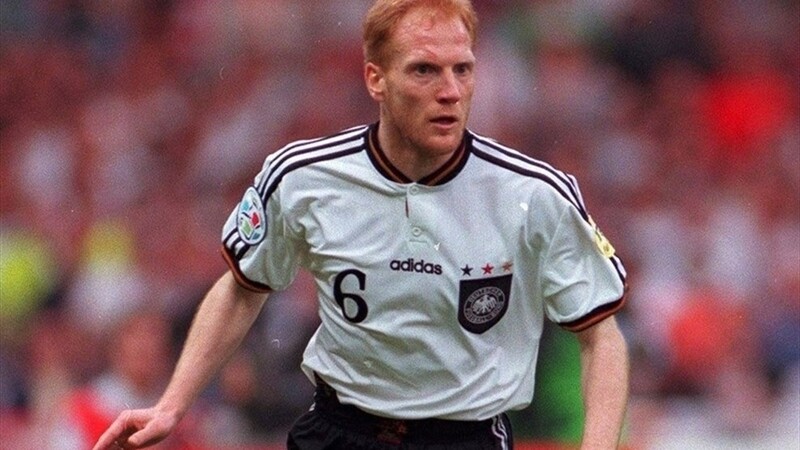 Matthias Sammer was one of the most prolific libero of all time. What he did for Germany and Dortmund in mid 90’s was something nothing more than classy. Sammer could always find the right timing to rush forward, supported the attack, and made huge impact on it. He was just incredible. With this shapes, my defensive line was too much exposed. 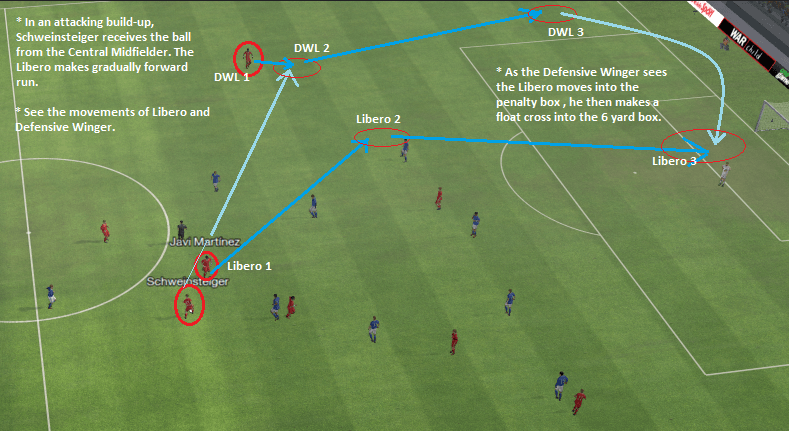 When the libero rushed forward, no player interchanged with him covering the vacant space. From bad to worse, on many occasions, my offside trap was executed badly. I have to tweak it. The aims are libero has to become one of team strength when on attacking phase and being the supervisor and a great defender as well. One of my tweak. In fact, this shape is actually tweaked from basic shape of 1-2-2WB-2CM-3AMC, which I tweaked into 1-2-2WB-1DM-2WB-2CM-3AMC. But, again, this has not been the appropriate shape for my team. I still have to make something to deal with that. (1) I have to make sure the libero gives enough support for attacking transition, so I have to pick a Role that interchange with my libero and covers vacant space as well. (2) Because I have only one layer on the flanks, I have to ensure my wide men can keep the balance of defensive and attacking. 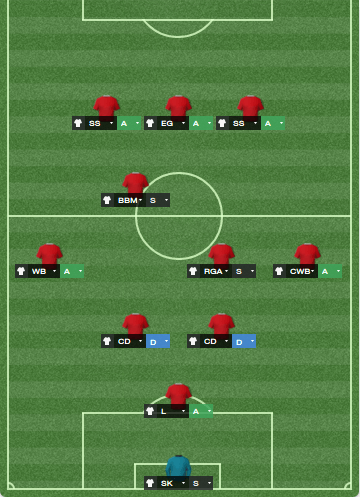 (3) One Role on central midfielder slot with high “Run From Deep” so my team have enough players in the penalty area. 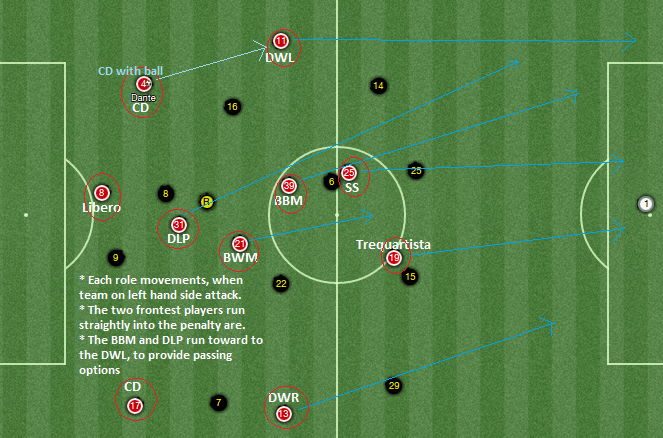 (4) One role on central midfielder slot with good defensive awareness. Based on how I want my players to play our football, I then choose the basic set-up (final basic shape). It seems to be more balance and promising, compared to a lot of previous shapes I had tried. You can see it below. 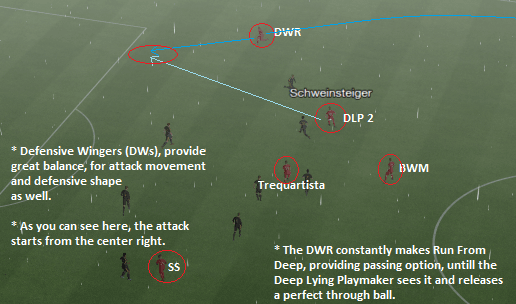 (2) In this tactic, I use 3 specialist roles (libero, half back and trequartista), plus one Role that can be considered as the cross-over, second striker. (3) I want my players to be more discipline. With Rigid Fluidity, the natural Creative Freedom supposed to be lower than the more fluid ones. (1) Bayern is a High-Level Reputation Team. I have to make use of it by controlling the game. (2) When playing with Counter, Standard, and Control, what I saw on pitch was far from how I want my team to play. The transition speed and playing aggressiveness seems to be too low. With Attacking Mentality and some adjustments on Player Instruction and Team Instruction, I find it more satisfying. 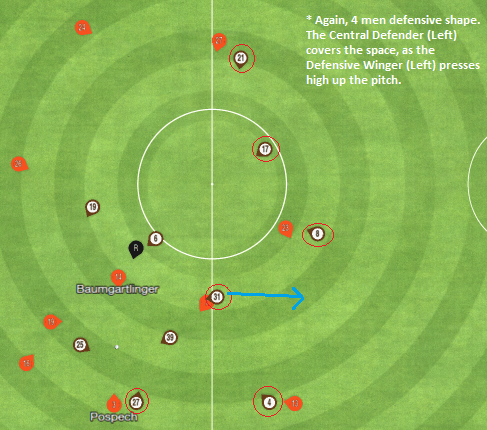 Defensive Winger presses and the Central Defender covers him. On the other hand, you can see the defensive indication movement of Half Back (light blue arrow). Again, the four (and half) men defensive shape. Half Back (HB) is a perfect shield for the defensive line. 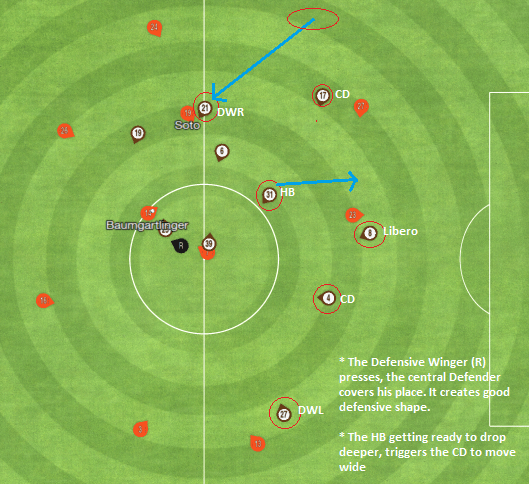 As the Central Left Defender moves wide to cover the Left Defensive Winger, the HB ready to cover his place. 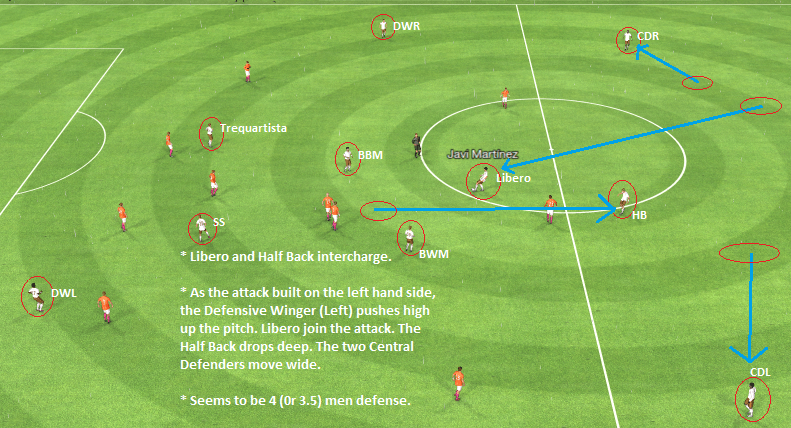 The Libero, another Central Defender, and the Right Defensive Winger, form a good shape of 4 men behind. Another defensive positioning. 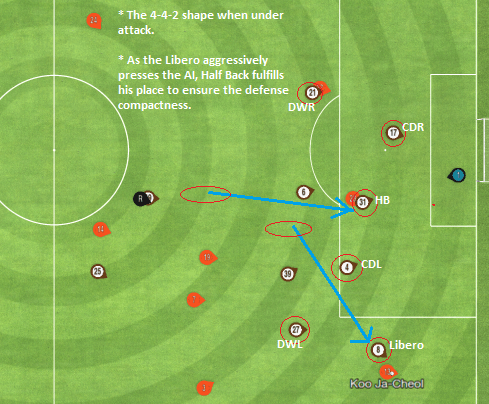 The Libero presses and the Half Back covers his place. Two layers of defense in front of the goalie. The Libero moves forward to support the attack. The Half Back (HB) drops deep to form defensive partnership with the two central Defenders. Attacking Movement. The blue arrows show the movement directions. Second Striker, Trequartista, and Defensive Winger are the most aggressive roles to get into the penalty area. The Box to Box (BBM), and Ball Winner (BWM) keep their moves moderately and cover the outside area. 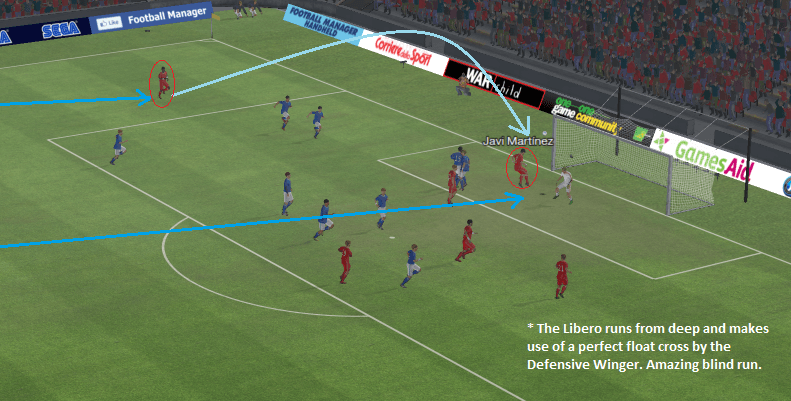 On this picture, you can see the Defensive Winger and Deep Lying Playmaker (defensive-pocket) attacking awareness. They move forward as the team on attack. The Half Back (HB) receives the pass from Central Midfielder. He then passes (light blue arrow) the ball to the left flank, where the Left Defensive Winger has been waiting. Take notice on the movement indications (dark blue arrows) of Defensive Winger and Libero. 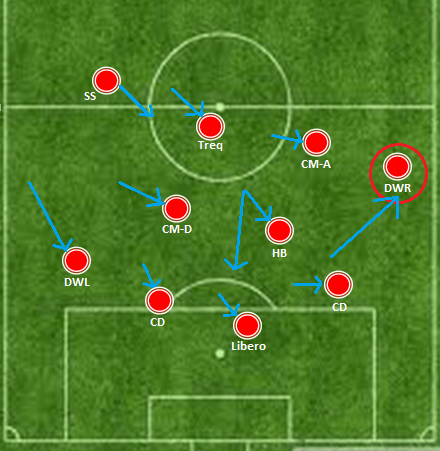 So guys, that’s the overview of my newest tactic. 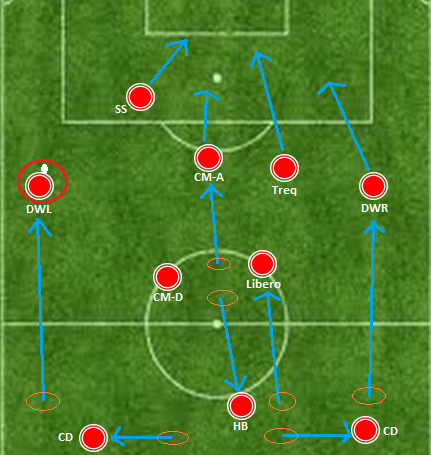 Hopefully with the pictures I have shown above, you get the big picture of this tactic performance. For more detail of it, here are some of my matches against the big boys. 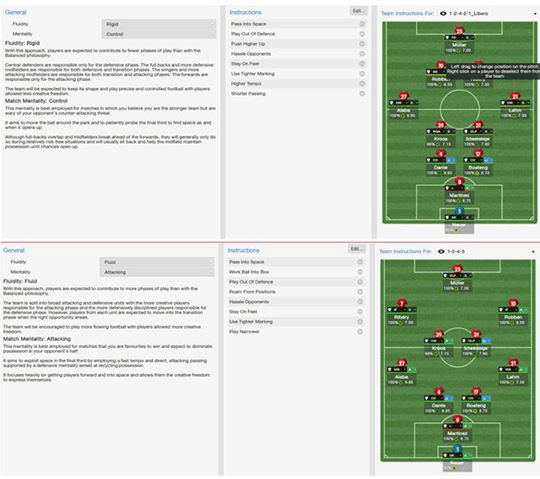 You can see how my players play and how I execute the tactic based on match condition. This entry was posted in football manager 2014 and 2015 and tagged FC Bayern, Football Manager 2014, Football Manager 2016, Football Manager 2017, libero football manager, matthias sammer, Ryan Tank. Bookmark the permalink. Thanks for reading, mate 🙂 I don’t post my PIs because I adjust them based on each match situation. But, if you want to know them, I had posted this tactic on another part of this Blog (you can find it in download category).